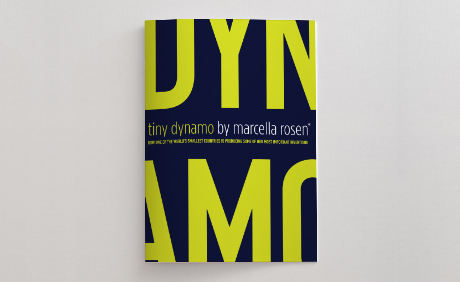 “Tiny Dynamo: How One of the World’s Smallest Countries Is Producing Some of Our Most Important Inventions,” by Marcella Rosen, chronicles 21 Israeli inventions that improve our lives. Close behind the USA, Canada, and China in number of startups, Israel is a true incubator of innovation. Also included in the book is a timeline (reprinted here) of major Israeli inventions since 1948. Available on Amazon. While everyone has been focused on the country’s decades of military conflicts, Israel has quietly become the most energetic, ambitious, go-go incubator of entrepreneurialism and invention the planet has ever seen. It’s true: Israel is a barrier-breaking dynamo of a kind never before witnessed in history. Acre-for-acre, citizen-for-citizen, no place is churning out more ideas, more products, more procedures and devices and technologies than this tiny strip of land along the Mediterranean. And the work that Israel is turning out is saving and improving lives around the world, every day. I could give you statistics: Israel is home to more start-ups, inventions and patents than the entirety of the EU; Israel attracts easily twice as much venture capital per capita as the next nearest recipient (the USA). I could give you more. I could overwhelm you with statistics. But statistics you can look up. What’s more important than the numbers is that Israel’s energy and inventiveness and output matter. From the hospital to the farm, from outer space to your kitchen, Israel’s life-saving, life-giving, life-enhancing creations make a positive difference every day in your life, in the lives of people you care about and in the lives of people you’ll never meet. It’s my firm belief that the world needs to hear this story — about a tiny nation where an unprecedented degree of life-altering work is being done every day. Further, the world shouldn’t wait to hear it. In fact, with all the turmoil taking place in the Middle East, I think the more information people have about what’s going on beyond the headlines, the better. Now . . . Is Israel perfect? Or course not. There’s never been a perfect country and there never will be. And perhaps no one is as aware of this as the average Israeli; the political choices and direction of the country are a source of constant internal tension, debate and even violence between its citizens. Like all vibrant democracies, Israel is constantly defending itself to itself. And as with all democracies, that process can o en be ugly to watch — both from within and without. But, professionally, I come from the world of communications and media, and I know deep in my bones that no country is equivalent to the media coverage of that country. Likewise, it’s anathema to me to hear a story half-told. And having traveled to Israel a dozen times — and to many other parts of the world as well — I can say with confidence that the common perception about a country rarely squares with the life that’s actually lived in that place, and the people who live it. So if it’s true that you should judge a person not by what is said about him but by what he does, then it follows that you should do the same for countries. Unfortunately, the media doesn’t really give you a chance to develop an informed opinion about Israel — or many other countries, for that matter — because, in the press, “If it bleeds it leads” — and the Middle East certainly does bleed. So that’s all you hear. But the truth is this: while the world’s attention has for decades been focused on one single dimension of Israeli life, something entirely different has been taking place away from the cameras: Israel has quietly become the little country that changed the world — and your life — for the better . . . without you even knowing it. This book tells 21 stories about Israelis who are emblematic of their nation’s determination to make a positive difference, and the work through which they’re expressing that determination. I chose these stories because they represent a cross-section of what’s going on within Israel’s borders . . . but for every story I chose, there are dozens more that could have been included. The details of the stories differ, but what I hope this collection replicates for you is something like the epiphany I experienced on one of my earliest trips to Israel. I was there on business, and in the course of my travels around the country I had come into contact with a number of people who were embarking on entrepreneurial ventures of one kind or another — none connected to each other, nor even in related areas of business. It happened that one such meeting required me to take a road trip with an Israeli colleague. As we motored along the highway, I looked out one window at a vast and barren desert: Jordan. I looked out the opposite window at green, productive farmland that stretched to the horizon: Israel. At that moment something clicked, like the tumblers of a lock falling into alignment, as I realized that what’s going on in Israel — all those Nobel laureates, all those patents, the green elds in the desert — is so much bigger than the sum of its parts. This little country is a place where achievement happens — achievement with global benefits. If tiny, beleaguered Israel can generate these kinds of results under its current circumstances, imagine what would happen — imagine what it could achieve — if it were released from the shackles of warfare. If this little country of fewer than eight million souls could focus the entirety of its energy and resources and resilience on the problems and puzzles facing us all, how much better a place would this world be? It is my wish that this book will encourage you to set aside momentarily what you think and know about Israel and look without preconception at the work being done there, and the people of good will and unwavering commitment who are doing it. I would then ask that you imagine living in a world where, every day, people’s lives are saved and bettered because of this work, and because of these people. Finally, I would point out that this is a world where we — all of us, around the globe — are already living.